Increase Proportion of Recycled Material! According to the latest GVM study “Recycling and emergence of PET bottles in Germany 2018”, about one third of the recycled PET material from the materials cycle is currently used in the production of new PET bottles. Together with you, RAL Quality Assurance Association “Resource Chain of PET Beverage Containers” (Wertstoffkette PET-Getränkeverpackungen e.V.) wants to significantly increase the proportion of recyclate. By 2022, an average recyclate proportion of 50 percent is to be achieved in the quality-assured products. 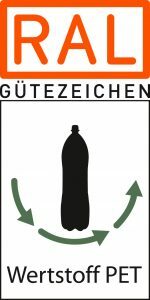 Thanks to the one-way deposit, Germany achieves a recycling rate of just under 98 percent for one-way deposit bottles. 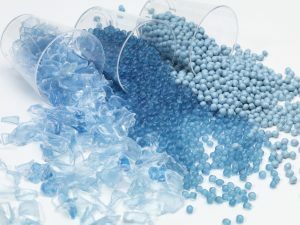 In recent years, beverage manufacturers have successively reduced the use of materials for new PET bottles, which has a positive effect on the ecological balance. But PET bottles with an even better eco-balance are possible and necessary in order to meet the demands of politicians and for a sustainable and resource-saving handling of packaging. Together with a low bottle weight, the use of recyclate in one-way PET bottles is an important adjusting screw. The amendment to the Packaging Act, which came into force on 1 January 2019, also aims to improve the eco-design of packaging by means of monetary incentives. The use of recycled materials for new packaging is explicitly mentioned. For the PET market, this means aiming for a significant increase in the rPET rate above the previous average of 26 percent. In order to achieve this goal, RAL Qquality Assurance Aassociation “Resource Chain of PET Beverage Containers” (Wertstoffkette PET-Getränkeverpackungen e.V. ), together with the beverage industry and above all the retailer, intends to cover the entire PET beverage packaging value chain in the future. The public’s and consumers’ desire for more sustainability affects all sectors of the beverage industry. Therefore, a voluntary commitment for a sustainable cycle is the right answer.